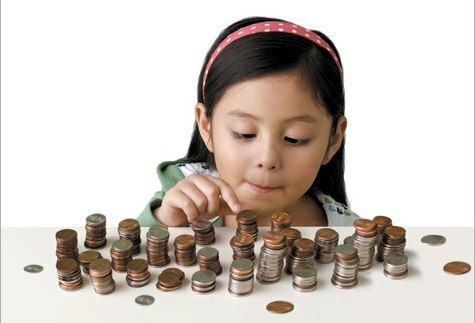 By the time your kid reaches preschool age, he must have seen money countless times. You also may have been facing difficulty in imparting the knowledge of value of money to him. There could be hundreds of questions in his mind about money whereby he hasn’t reach the level of articulation to put his questions into sentences and direct them to you. ·Why mummy’s money from that machine never seem to deplete? ·When will I get to withdraw my own money just like a grown up? ·Why not mummy simply withdraws more money so that I can buy my favorite Ben10 toys? ·Why is mummy spending so much on little brother but seldom buy me anything I want? As such questions arise, depending on kid’s characters; he may react by simply throwing tantrum, stare blank or sound doubtful. Being a parent, you ought to be sensitive towards your kid’s feelings and doubts. Given the situation, this is the best opportunity to educate your little one about value, function and circulation of that valuable note which everyone likes – called money. Primarily, teach kids about money comes in exchange with the time you and your spouse spend at work, doing things in the office every weekday from 9am to 6pm. Explain the amount of time invested to earn money which in return will go to the bank and enable you to withdraw the money from the machine. Hence, money doesn’t come easy. Hard work and commitment is needed to earn them. Next, given the money earned by you and your spouse, priority in spending will be given to things such as food, healthcare and education. You may also explain that your family has other expenses such as housing, car or domestic helper. Next and the most important point is to teach kids about the depletion of money. Should your family use them unwisely, the amount you have from the bank will exhaust. Bottom line is to educate kids about secondary spending on toys and leisure lifestyle is not always affordable. If you have a kid who always asks for materials, give him some task to do at home and you can pay him small amount in return. That way, he can understand the concept of earning money. Get him to keep his money in a piggy bank and allow him to use a certain amount within a certain time frame. However, please be mindful about this technique because he may not want to do any work next time if you do not pay him. More tips and techniques about Saving with Kids.